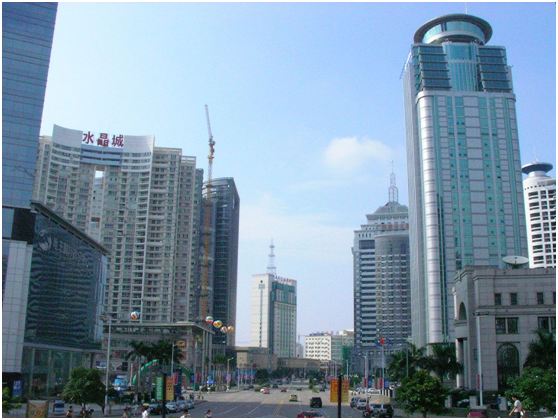 Nanning is the capital of the Guangxi Zhuang Autonomous Region in southern China. It is known as the "Green City" because of its abundance of lush subtropical foliage. As of 2014 it had a population of 6,913,800 with 4,037,000 in its urban area. Guangxi University of Foreign Languages (GUFL), formerly known as Guangxi Dongfang Foreign Language College is located in Nanning, Guangxi. The University was founded in June 2004 and was upgraded in April 2011 to offer bachelor's programs. 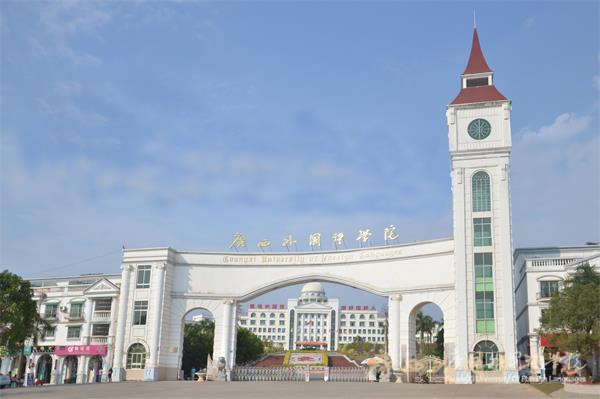 It is the first private higher learning institution to offer bachelor's programs in Guangxi and the only foreign studies university in Guangxi. GUFL comprises 12 schools which are School of South-East Asian Languages & Cultures, School of European-American Languages & Cultures, School of Literature, School of International Trade & Economics, School of Business Administration, School of Accounting, School of Information Engineering, School of Arts, School of Education, School of International Education, School of Continuing Education and School of Innovation & Enterprise. The University offers 27 bachelor degree programs covering disciplines such as literature, economics, management, art, education, and engineering. We offer 14 language major programs or courses including English, Thai, Vietnamese, Cambodian, Indonesian, Burmese, Laos, French, Spanish, Japanese, German, Korean, Russian and Chinese to Speakers of Other Languages. 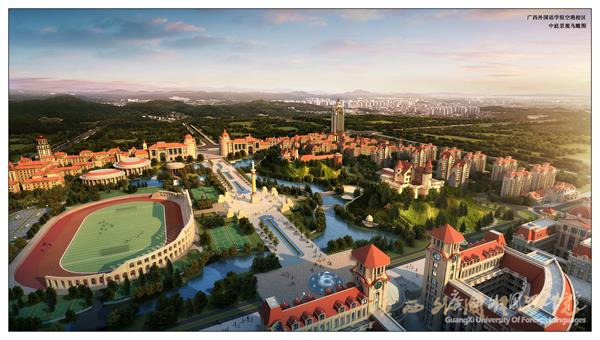 The University has 2 campuses, Wuhe Campus and Konggang Campus, with a combined area of 154.3 hectares with 330,000-square-meter buildings. The university has 29 simulation professional internship practice bases on campus, 88 laboratories equipped with advanced facilities, a storage of 1,440,000 paper books, 400,000 electronic books and 1,200 scholarly journals and magazines. Now there are 14, 731 full-time students and 179 international students. With Great Love as the Core Value and Chinese-souled, International-minded as the Spirit, the University devotes itself to the goal to cultivate applied professional talents not only with patriotic sentiments, international perspective, solid specialty foundation, strong practical and innovative capabilities, but also with virtue, wisdom, fitness and goodness, a combination of application-oriented, export-oriented and distinct characteristics. 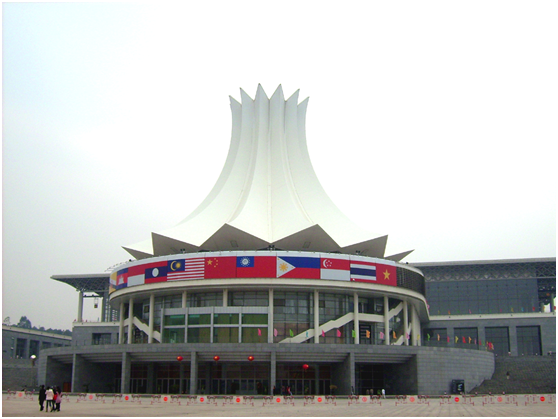 The University is committed to serve Guangxi’s economic and social development and the Belt and Road Initiative in such a way that we closely cooperate with 78 enterprises, local government and sister-universities home and abroad in teaching, research and production in number of multi-functional internship practice bases, 27 of which are offshore and overseas. 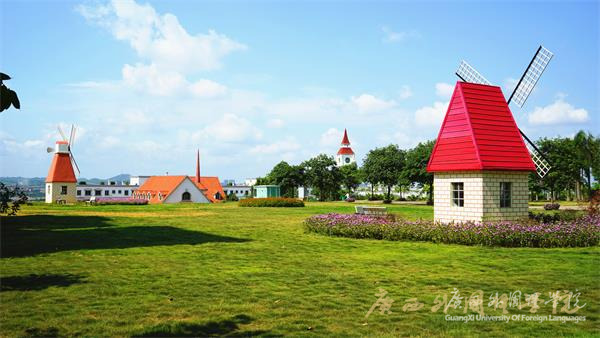 In the past 13 years, GUFL has received over 200 honors and awards at national and provincial levels, including the National Advanced Private Education Institution, the National Excellent Private Higher Institution and the Guangxi Excellent Higher Education Institution for Student Employment. Guangxi Higher Institution with Safe and Civilized Campus, Guangxi Excellent Higher Institution in Sanitary Condition.